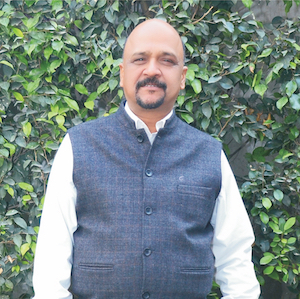 Meet Mr. AMIT SEHGAL, Principal of The Scholars Valley, Dhampur. 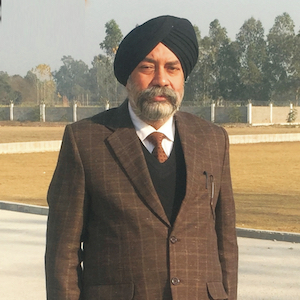 Mr. Sehgal has 20 years of experience across various profiles of Teaching, Administration and Management in different International Schools of India. 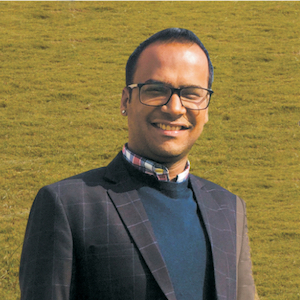 He holds a Post Graduate Degree in Science (Mathematics) from the HNB Garhwal University, Srinagar, plus 3 years of Computer Course (GNIIT) from NIIT, Dehradun. He also has a B. Ed Degree from the Kurukshetra University, Kurukshetra. Mr. Sehgal last worked as Principal, St. Lawrence International School. 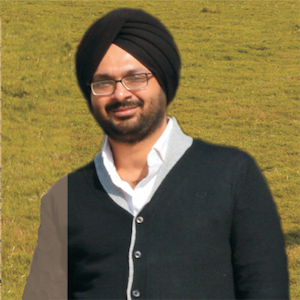 Earlier he has worked as ‘Principal in Greatmen International School & SSD Public School’ and had also been the teaching faculty at Delhi Public School, Pinjore; Doon International School, Dehradun, GD Goenka World School, Gurgaon; BRCM Public School, Bhiwani and other leading school of the country looking into teacher’s personal and professional development. His job at The Scholars Valley will shape up the young minds for a better tomorrow. His vast experience will provide an environment to bring out the winner in each child. The Scholars Valley is an amalgamation of competent teachers, state-of-the-art infrastructure, an idyllic setting and an experienced and efficient administration. The school came into existence with the vision of creating a safe and supportive environment for its students, to provide a perfect balance of academics, sports, artistic and social opportunities. Childhood, youth and learning should be a joy and we strive for that. The school offers its students an option to pursue either CBSE curriculum. 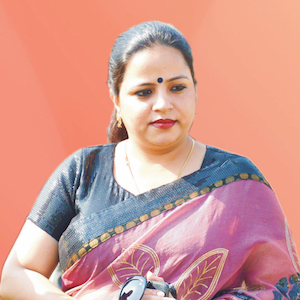 TSV aims at holistic growth and development of its students. The School's genuine concern ensures student's emotional growth along with intellectual excellence. This empowers them to develop their self-esteem, self-awareness and self-confidence. Sharing ideas, analyzing situations and expressing them confidently are essential skills which are honed here, through Experimental Learning. Modern and secure infrastructure, pollution free environment, excellent pastoral care are some of our strengths. While studying at TSV, your child will be groomed to become a confident, articulate and enlightened your mind, ready to step into global society with dignity, honour and integrity. TSV believes there is no contradiction between learning and fun, joy and the pursuit of excellence, the global and the local, and between respecting tradition and embracing change. I am honoured to be the Principal of TSV. We just like you, believe in holistic education for your child, encompassing - academics, co-curricular activities, sports education and life-skills learning. Our endeavor is to strike a balance between state-of-the-art infrastructure and an internationally acceptable education. At The Scholars Valley, we impart education that is based on conscience and we rear a breed of young minds that are bursting with slef confidence, motivation and ever ready to take up challenges. The School will encourage students to learn about themselves and their constantly changing environment, while at the same time offering support and guidance as they practise decision-making and social skills. The Scholars Valley is a vibrant and welcoming learning community, committed to creating the best possible educational experience for every child. We aim to enable all children to reach their full potential. We have a talented, dedicated, caring team of staff, each of whom works very hard to ensure that the abilities of the children in our care are nurtured and carefully developed. Our teachers and teaching assistants are experienced , and work as a team to make the school a very special place, every day, for your child. At TSV we aim to provide a broad, well balanced and relevant curriculum. We encourage positive social behaviour, emphasising respect for others. We believe that every child has the right to work in a calm, orderly , a safe and secure environment. TSV provides a stimulating and enriched environment so that the children can enjoy all aspects of their learning. Across the globe, education is considered to be the most precious gift any parent can bestow upon their child. It is my belief, that, in order to embrace a good education, a child must be happy in life. A contented child is one that will be compassionate, generous in heart and open to learning in the widest possible sense. Our role of educators is thus much greater than being simply 'in the classroom' and imparting knowledge. I believe our role at TSV is to model a way of life that shows both leadership and humility, offers kindness hand-in-hand with guidance; encourages risk taking within the bounds of safety; acknowledges that to success, one must conquer fear and sometimes recognize failure. In such a way, pupils become independent in thought and action and know how to support others whilst also learning to value themselves. In other words, "Sampoornam". The Scholars Valley will provide great opportunity for fresh minds and eager learners. We have created an opportunity for open creative atmosphere within which human values and skills are developed and sustained. The word satisfaction will come to your mind on choosing the most right school for your child. We will encourage students to put in extra mile and develop the habit of creative thinking. The school's objective is best expressed by attempting to create competent, caring and confident students through its holistic approach. Our students will actively support & participate in social issues like environment, literacy, relief and endeavor to become leaders in their own right. I believe that extraordinary opportunities equal extraordinary results which is why The Scholars Valley will strive to provide students with opportunities. They can explore to find that little 'extra' which will propel them to success in life's journey. Our children represent our hopes and dreams. As a parent, you want the best for your child and we are proud to be working with you to ensure that they are given the right knowledge to face future challenges. Children are living beings more living than people who have built shells of habit around themselves. Therefore, it is absolutely necessary for their mental health and development that they should not have 'mere school' for their lessons, but a world whose guiding spirit is personal.